Guatemala’s gorgeous Lake Atitlán has captivated people for centuries. Visiting the lake in 1934, Aldous Huxley called it “The most beautiful lake in the world” and compared it to Lake Cuomo in Italy. Surrounded by traditional Mayan villages and studded with three volcanoes on its southern shore, Lake Atitlan is indeed spectacular. To this day it remains one of Guatemala’s most popular destinations. 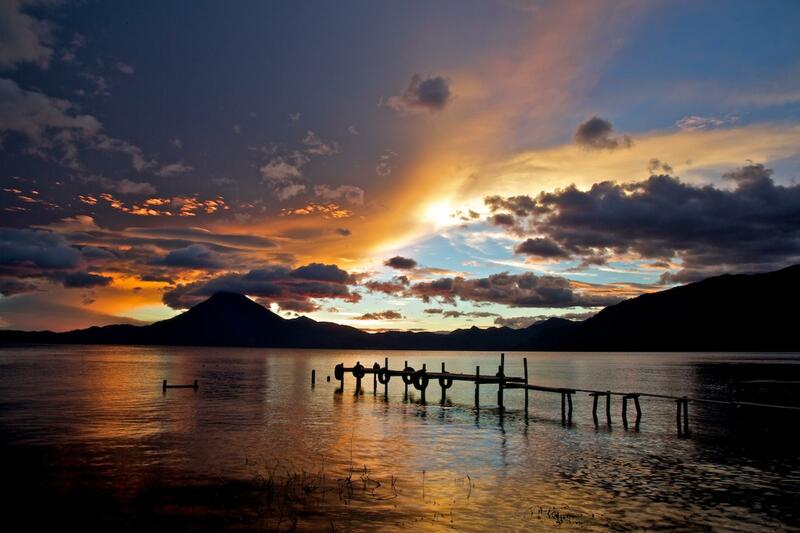 Lake Atitlán was created some 85,000 years ago in the wake of a volcanic eruption. The lake covers some 48 square miles (125 sq. km.) and is 19 miles (30 km) long and 6 miles (10 km) wide. Its deepest point is 1,050 feet (320 m). The 1976 earthquake that hit much of Guatemala may have created a drainage point in the lake; the water level has been slowly declining ever since. Three volcanoes sit along the lake’s southern shoes—the San Pedro Volcano, Tolimán Volcano, and Atitlán Volcano. San Pedro can be hiked, but it’s 4-5 hours to the summit and is a pretty steep climb. Hiking San Pedro should only be attempted with a guide. Another incredible aspect of the Lake Atitlán area is the strength of the Mayan culture. Despite an increasing number of tourists and several new developments, many of the villages remain quite traditional. Some of the most traditional include Sololá, Santiago Atitlán, San Pablo La Laguna, and San Antonio Palopó. In certain villages the men still wear traditional clothing called traje and locals speak indigenous languages like Tz’utujil and Kaqchikel. In total, thirteen villages are spread along the shores of the lake, and there are many more in the adjacent hills. Most are subsistence farming communities, although many are increasingly dabbling in tourism. Panajachal is the lake’s main tourist town. Panajachal became popular with American and European backpackers in the 1960s and nowadays has a sizeable population of foreign residents. It’s also a popular weekend destination for Guatemala City residents—things can get fairly lively here on Fridays and Saturdays. The lake and the surrounding mountains offer all kinds of recreational activities, including hiking, swimming, cycling, fishing, and scuba diving. Across the lake, San Pedro La Laguna rivals Panajachal as the hotbed for international travelers. 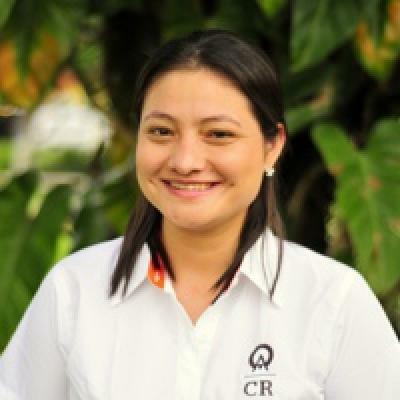 The town has a hip atmosphere and flanks the northern slopes of the San Pedro Volcano. The town has several language schools and fairly good accommodation options. A few miles east of Panajachal is the charming village of Santa Catarina Palopó. With adobe houses and villagers that still sport traditional clothing, Santa Catarina Palopó is both quaint and tranquil. It also has some of the lake’s best accommodation options. The quiet village of Santa Cruz de La Laguna is located west of Panajachal. It’s accessible only by boat and is popular with backpackers. Santiago Atitlán is set in an inlet and has lovely views of the San Pedro Volcano. The Tolimán and Atitlán volcanoes loom behind it. This is a more traditional kind of village and is known for its Tz’utujil-speaking Mayan residents. Handicrafts and paintings line the main street and pepper local art galleries. San Marcos La Laguna is Guatemala’s foremost New Age center. It’s a tranquil place where yoga, meditation, acupuncture, reiki, and massage are common. The town also has spectacular views of all three volcanoes. "charming, and really loved the villages on the lake"